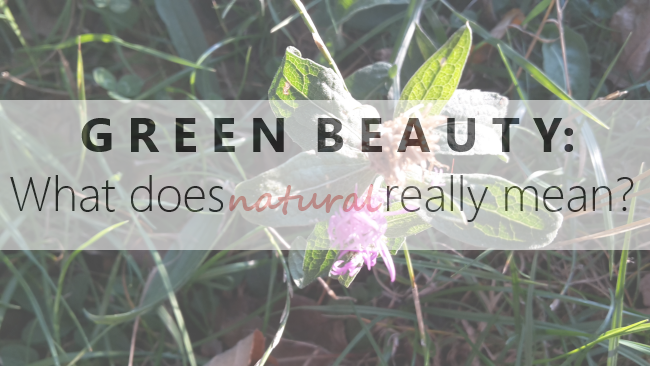 Overwhelming information, especially when it comes to ingredients, to dishonest business practice can lead to consumers being confused what natural really means and trusting the green beauty industry. Hardly a week goes by that I don’t get an email from my readers, asking me numerous variations of the same question: what does natural really mean? And despite my very popular Intro Guide articles, which also, extensively, touch on the the subject what natural really is, and what is the difference between, say, natural and organic, this question keeps coming up. In my, well over a decade, long journey with natural cosmetics, I have a pretty clear definition of what natural really means when it comes to cosmetics. At the same time, I also understand why, still, so many are not exactly sure what natural really means – especially when looking at the ingredients lists of the beauty products. As I’ve mentioned in my popular (and much copied; but that’s an issue for some later time) Intro Guide article “What is the difference between natural, organic, eco, bio, etc?” the biggest problem, still is – greenwashing, which takes a form of using synthetic ingredients, only a few natural ingredients, and various claims of a few synthetic ingredients a product allegedly does not contain. A special place have those ingredients, which are “derived from natural sources”. Yeah. If we go strictly by this definition, more or less no ingredient in beauty products is natural. A rose, naturally, has oil in its flower, but in order to produce rose oil, a man has to steam distill the rose flowers in order to produce the rose oil. Either that, or use carbon dioxide extraction. In both cases, the rose oil is a result of a man’s work; the “material” used to produce rose oil was natural – water and carbon dioxide are both natural – natural chemicals. Yes, you’ve read that correct – chemicals. But – the rose oil wasn’t produced without the hand of a man. Still, in such instances, I use the term natural when talking about this ingredient. Then we wade off to another process of obtaining rose oil – by solvent extraction using hexane, which in turn is created by refining of crude oil. And crude oil is as natural as it gets, is it not? Crude oil is natural, but that doesn’t mean you’d put it on your face, does it? There are mushrooms, which we use in culinary, and then there are poisonous mushrooms which can even kill you – but both are natural. And there are mushrooms, such as shiitake and songyi mushrooms, used in beauty products (Suki concentrated toner, Suki targeted bio-brightening face serum). Bee venom can be deadly as well, yet it’s used in skin care products (I, in no shape or form, support the practice of obtaining bee venom). What I’m trying to say is that just because something is natural, it doesn’t mean it’s good for us – yes, every thing in nature has its own place and purpose, but it’s not necessarily good a priori just because it’s natural. Unless there’s a vacuum in this bottle with a claim of “no chemicals” slapped on it, then there are chemicals in it. Everything in this universe of ours is made of chemicals. Water is made of chemicals, which go by the names of oxygen and hydrogen. So, if a facial toner contains water (and usually it contains 90% of it), a bit of a hydrolate and few drops of essential oils – this toner is loaded with chemicals; just the number of chemical compounds in essential oils is numerous! So, why the claim? For marketing purposes. Cosmetic businesses bank on the ignorance of the consumer, as well as on consumer’s expectation of buying a product which is natural, thus – as falsely believed as it is – containing no chemicals; chemicals, somehow, are now associated with something bad and unnatural – how this absurd came into being, is also worth questioning. Given the demand for natural products, businesses, in a race for bigger profits, have no qualms making the most ridiculous claims. How many times have you seen a product claiming it’s free from parabens? Many, I bet. This claim means nothing. It’s free from parabens, yet loaded with PEGs, phthalates etc. This claim is just another marketing approach, along with a green leaf, in order to catch attention from a consumer, looking for natural products. What matters is what’s in the product. Don’t get me wrong – there are some beauty products where this claim is welcomed and even needed, such as nail polish; the more toxic ingredients (such as formaldehyde) a nail polish is free from, the better. But – when it comes to other beauty products, a “free from” claim does not give you an honest and transparent declaration of what the product is really made of. Now we’re getting to the meat of the issue. If natural means anything which exists or is caused by nature and not a man, then synthetic is just the opposite – it does not exist in nature, was not caused by nature but by a man. If I go back to the subject of rose oil: rose oil, produced by solvent extraction using, for example, hexane – technically, is not a natural ingredient, unfortunately; not only due to the unnatural process, but more-so due to the possible traces of synthetic chemicals left in a rose oil due to the extraction method. A product, containing 5 vegetable oils and 5 essential oils, along with Sodium benzoate is not natural. Sodium benzoate is a synthetic (read: created by a man) preservative, so a product containing it, cannot be labeled and sold as natural. The product can be, based on cosmetic certification rules, marketed as natural and even as organic, but if we’re completely honest – it is not. When I receive emails from my readers, asking me whether something is really natural or not, this type of examples as listed above, are the most common ones. I can understand the confusion this brings up in people. Another marketing tactic, rooted in dishonesty. The most common victim of these claims is a natural ingredient: coconut oil. Mostly, you will find a claim “derived from coconut oil” with synthetic foaming and surfactant ingredients (used in shampoos, liquid soaps and facial cleansers) such as sodium laureth sulfate, sodium coco-sulfate, cocamidopropyl betaine. Cocamidopropyl betaine, a synthetic ingredient, is produced by using a synthetic ingredient called dimethylamine, whereas sodium laureth sulfate’s claim of being derived from coconut means that Lauryl alcohol is the ingredient, which was synthetically derived from coconut oil and then synthesized by treating lauryl alcohol with sulfur trioxide. Nothing natural, nothing naturally derived in any of these ingredients. Some even go as far as to list only coconut oil, when in fact the actual ingredient is not coconut oil, but some type of synthetic ingredient as the ones mentioned above. 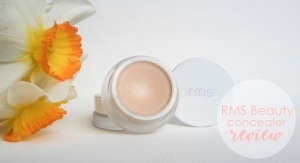 On the other hand – a natural ingredient, naturally derived, which is pretty bad for the skin? Alcohol. If we take for example a natural alcohol from, say, plums, mostly used in natural perfumes – this ingredient is natural, but dries and irritates the skin, making it unbalanced and thus producing more oil. I know what you expect me to say, unfortunately – I’m going to have to say: no, but even that no comes with heavy conditions – mainly only based on the stability of the ingredient. There aren’t many ingredients, which are better synthetic than natural, but there are some. For example – Vitamin C. Vitamin C in its natural form, is very unstable, especially when in a formulation which is water – based. Essentially, natural Vitamin C would more or less just disappear from the formulation, and therefore the product, marketed as containing Vitamin C would, by the time it reached the store’s shelf, contain none of it. Due to instability of natural Vitamin C, brands use synthetic Vitamin C, but not many list the Vitamin C as synthetic ingredient; similar case is with Vitamin E.
The only way for you to get enough Vitamin C is by eating fruits and vegetables, which contain high levels of Vitamin C and using fruits and vegetables, containing Vitamin C as facial masks. Are organic certificates the be-all and end-all? No, unfortunately not. For example, a product can receive organic certification based on ingredients being 95% organic or natural or! – naturally derived – and we’ve just covered how a naturally derived ingredient looks like when taken a closer look. The ingredients in such a product can be natural and organic to the point of 95%, but the remaining 5% can be tricky. So, all you have to do is read ingredients list? Well, ideally it should be like this. But, as mentioned before – the tricks used by brands are plentiful, from that naturally derived one to listing only active ingredients as opposed to all ingredients in a product. Or – no ingredients listed at all. A product description will nearly make your skin akin to that of a 3 month old baby, and the product is a gift from nature, but – there’s no ingredients list. And no, trade secrets of the formulation just do not cut it, and rarely is this the case for the lack of the ingredients listed. And then there’s another problem with ingredients lists. If a product contains a certain low % of an ingredient (for example – 0,1% of Sodium benzoate), it’s not even required from a brand to list it on the ingredients list at all. The order by which the ingredients are listed is also important. 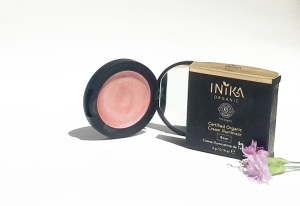 A product can claim to be, for example, a rose cream, but will have a rose oil listed at the end of the ingredient list among, say, 18 ingredients. The sooner on the list the ingredient is listed, the more % of it is in the product. Can you trust the product is natural if bought from a specialized green beauty store? No. I’d say you should instead first read the ingredients list of each product even when sold in a beauty store which sells (mainly) natural beauty products, but we’ve seen that even ingredients lists are not reliable and honest. Not in all cases, mind you – but in some. There are beauty brands and/or products being sold in such stores which have no place being sold there. Why’s that so? Well, such brands are not artisan brands (made with pure natural, fresh ingredients in small quantities by aromatherapists and/or herbalists), but rather big brands, whose products are mostly mass – produced in labs by chemists. I’m not saying that all such brands are not natural. But some brands, which are not natural but are sold in green stores, offer these stores too big of a commission for the stores to turn them down. Problematic? Very. These stores are playing with their reputations, if you ask me, because costumers actually trust them to sell only natural products, and rarely even take a look at the ingredients lists of such products. This, too, is a form of greenwashing. I keep saying that that natural beauty industry has come a long way, and new brands, trying to offer something new and different and more and popping up on a daily basis. The popularity of the green beauty products is growing steadily and I’ve already mentioned several times the double sword of green beauty going mainstream. As a customer of natural beauty, you have to continue informing yourself. You have to be diligent in demanding better natural products in regards to actual ingredients, as well as being diligent when demanding answers from brands. Vote with money – whether it comes to actual ingredients of the products or the attitude the brands have. Remember – you don’t have to spend money on a brand which does not value you as their costumer, by either being dishonest in their business practice or by ignoring your emails, for example. Some brands, unfortunately, even in green beauty business, truly see only one green thing – and that’s money. And if there’s one thing certain, it’s that conventional brands, especially the bigger ones, have a better chance of continuing being a part of beauty industry when their reputations take a hit as opposed to green beauty brands; also because the standards to which we hold green beauty brands are much higher – understandably and logically so. I try my best to offer as much helpful and honest information on my blog – whether it’s by posting articles such as this one – as detailed and based on arguments and experience as possible, to detailed, honest reviews of the beauty products. You won’t find me being a cheerleader to a brand or a product just because it was sent to me for the purpose of reviewing it or in general being scared of offending a brand; from that stand point of view, when it comes to reviews, people can be confused when reading only superficial reviews of beauty products, or even worse – nothing but positive being posted about every single product. There is a huge difference between a review and a sponsored post, and dishonesty in clearly stating it, it blurs the lines of what is a genuine review and a cheerleading post due to being paid for it. Unfortunately, this, too, is a form of greenwshing, leaving readers confused and even disappointed when they buy such products based on the reviews. Likewise, all the emails you’re sending me, asking me about specific ingredients, products, brands, stores… I try to give you the best answers possible, and as fast as I can. This article has been a long time in the making and it’s another article inspired by your many emails, so please – continue sending me any questions you might have. I’m also thankful to all the emails in which you say how much Nature of Europe helped you with my Intro Guide articles and an extensive lists of cosmetic ingredients. Not too long ago I’ve received an email from a loyal reader stating how reading my reviews and especially all the ingredients that I analyze has helped her being more fluent in understanding the ingredients in general – and I thank her for this, as this lets me know that my detailed reviews are actually helpful and appreciated. So, tell me, is this green beauty industry, at times, confusing you? How do you approach a green beauty product and what do you look for in a green beauty product? Which are those breaking points for you where you’d give up on a certain brand or product? Where do you see grey areas in green beauty? Another fantastic article, I think I am going to spend all weekend just going through your blog. I still have so much learn and am so thankful to have found your blog to teach me! Thank you *so* much! And I am thankful for all your support – it keeps me going! There’s so much confusion, still, when it comes to natural cosmetics, and I try my best to share my knowledge and experience with you all! One of the reasons I post such detailed reviews, for example, including detailed description of ingredients, is so you can all become as fluent as possible when looking at the ingredients lists. If you have any questions – you know where to find me!